The mysterious Mayan culture used salt to cure fish on a mass scale as far back as 1,000 years ago, according to a new study. 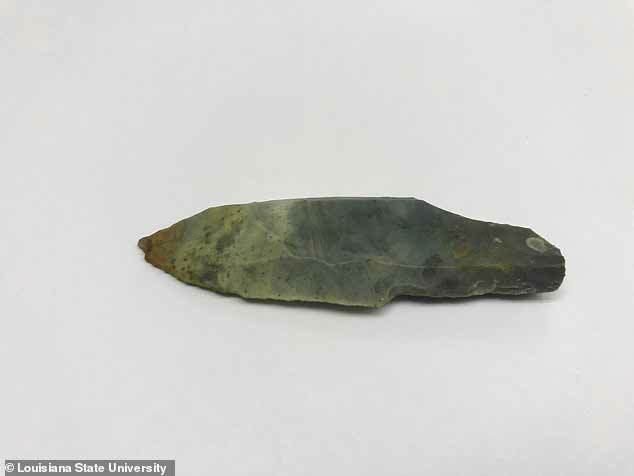 Ancient stone tools found at an ancient Mayan salt farm in Belize bear microscopic scuff marks that reveal they were frequently scraped against animal bones. Researchers suggest the group salted fish and other meats before trading it with other tribes, sometimes travelling 15 miles up a nearby river to close a deal. The study sheds light on how the Mayans - a culture we know little about due to their lack of a written language - met their dietary needs and traded with rival groups. It means the famed Paynes Creek Salt Works - which may be the oldest mass-scale salt farm in South America - was used to produce more than just salt by the Mayans. 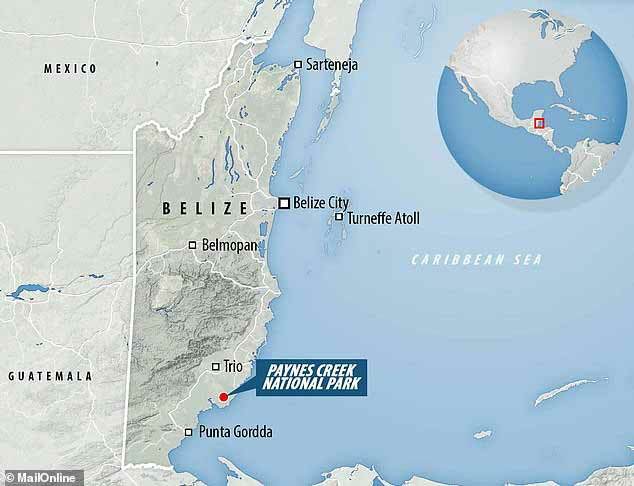 Researchers at Louisiana State University undertook a new analysis of stone tools found at an ancient salt farm in Belize's Paynes Creek National Park. The Paynes Creek Salt Works was used as a recently as 1,000 years ago, when the Mayans were at the peak of their civilisation. Previously it was thought only salt was produced at the site, as researchers found no animal remains - but the new study turns this long-held assumption on its head. 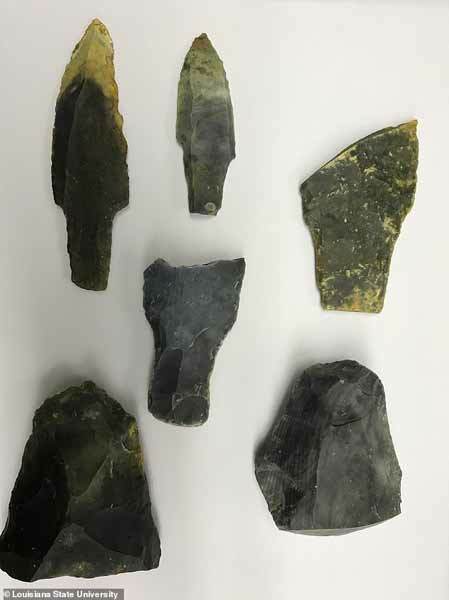 The analysis found previously undiscovered marks on the Paynes Creek tools that clearly indicate they were used to process fish and meat products. Study lead author Professor Heather McKillop said: 'We found virtually no fish or other animal bones during our sea-floor survey or excavations. Researchers suggest the Mayans salted fish and meat to meet their dietary needs and produce a commodity that could be stored and traded. Professor McKillop's study site is a 3-square-mile area surrounded by mangrove forest that had been buried beneath a saltwater lagoon due to sea level rise. 'Sea level rise completely submerged these sites underwater,' she said. The soggy mangrove soil, or peat, is acidic and disintegrates bone, shells and microfossils made from calcium carbonate. Therefore, no remnants of fish or animal bones were found. However, the mangrove peat preserves wood, which normally decays in the rainforest of Central America. After finding the preserved wood in 2004, Professor McKillop and her students mapped and excavated the underwater sites. They discovered more than 4,000 wooden posts that outline a series of buildings used as salt kitchens where brine was boiled in pots over fires to make salt. The Classic Maya from 300-900 AD may have travelled by boat along the coast and up rivers to cities about 15 miles (24km) inland to trade and barter. 'These discoveries substantiate the model of regional production and distribution of salt to meet the biological needs of the Classic Maya,' Professor McKillop said.